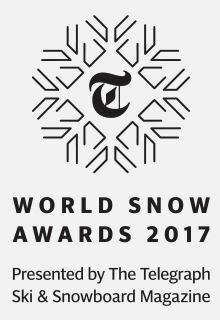 Mont Blanc Lodge, situated in the heart of Chamonix has six ensuite bedrooms a hot tub and fantastic views of Mont Blanc. This beautiful old farmhouse offers character, charm and the very best location possible. 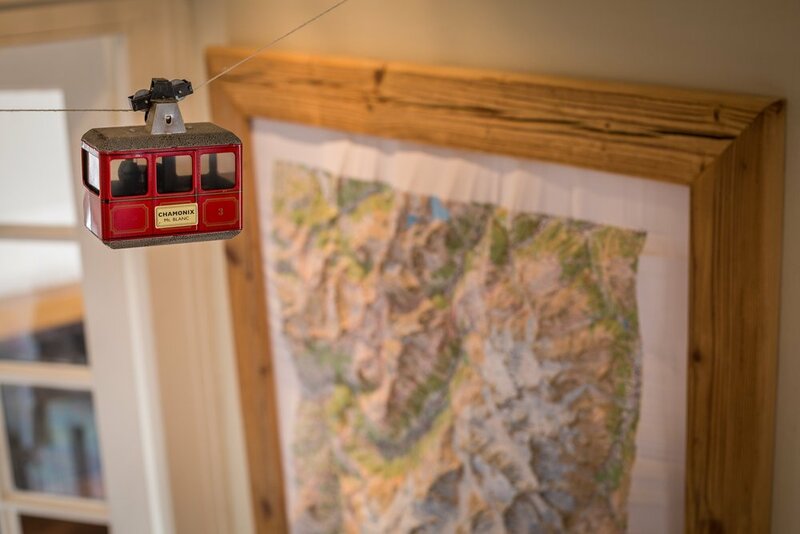 Mont Blanc Lodge was built 200 years ago as a farmhouse in what was then the rural Chamonix countryside. A lot has changed since then and the chalet now finds itself nestled in the heart of the town but still tucked away to the side of the historic and recently restored Coutett Park. 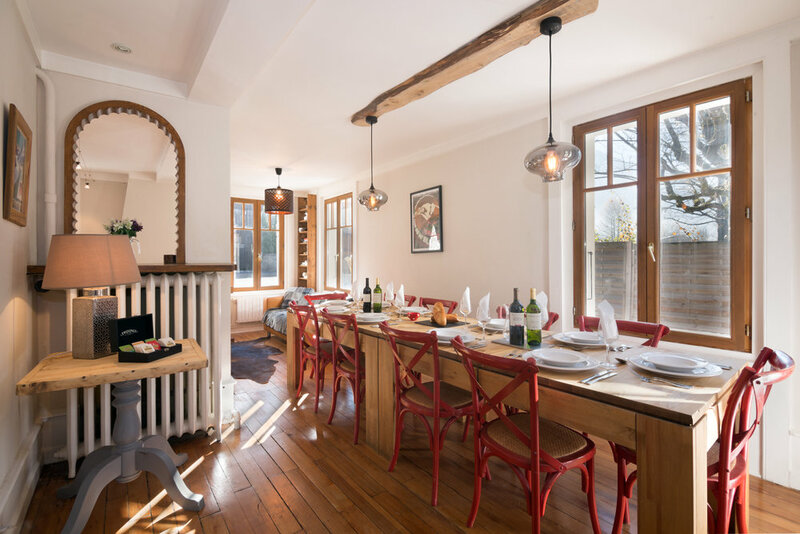 The chalet is just a two minute walk from Avenue Michel Croz and the town centre with its bars, restaurants and shopping and is very near to the newly developed Maison des Artistes http://maisondesartistes.eu/ - one of the towns newest and most sophisticated music venues. 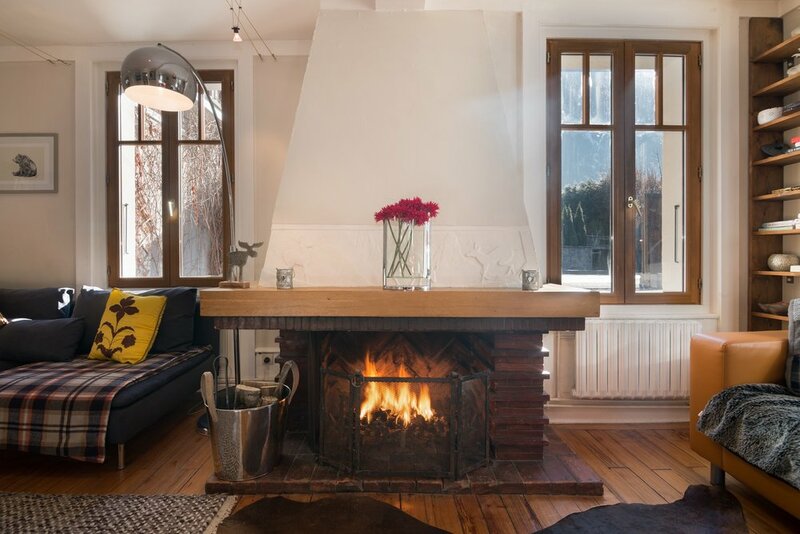 The lifts are not far away with a short walk to the Aiguilles du midi lift and less than a ten minute walk to the Savoy and Planards nursery slopes and lifts to the Brevent/Flegere ski domain. 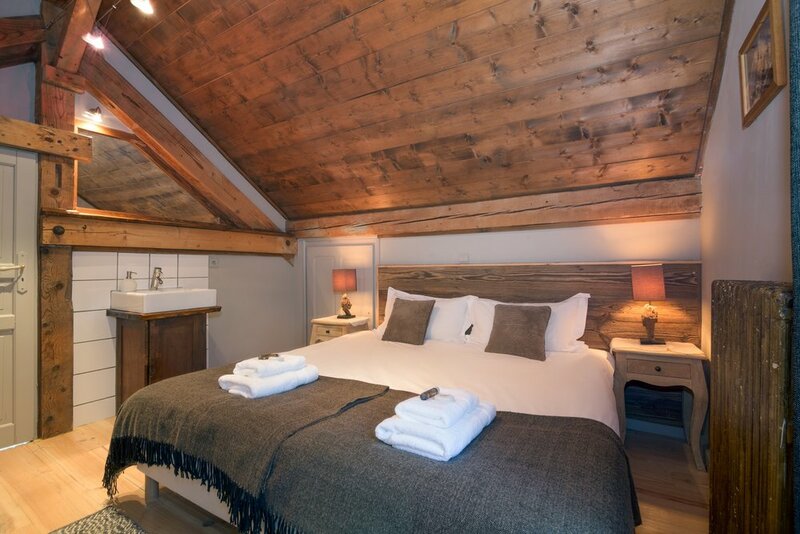 The chalet itself is set over three floors and sleeps up to 12 people in six en-suite bedrooms. The ground floor consists of a large entrance hallway, open living and dining area with a large open fire. There is also heated storage for boots and skis. 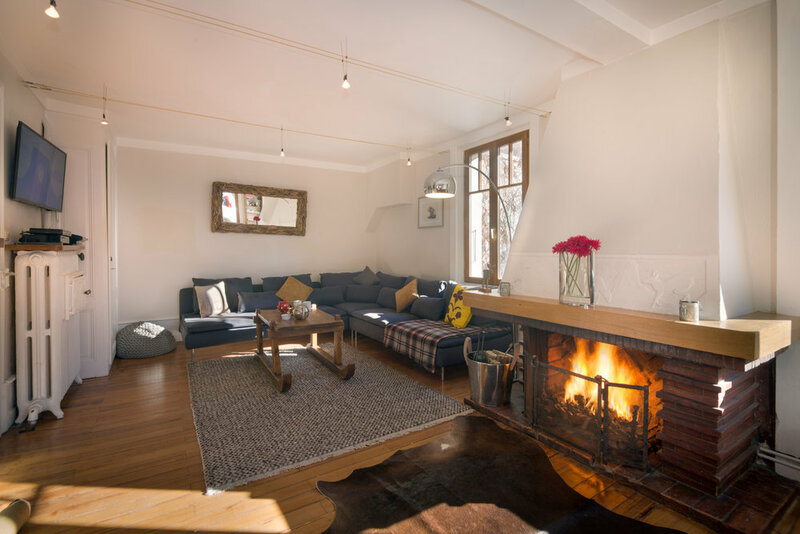 On the upper levels there are two more floors with six warm and cosy, tastefully decorated bedrooms, all with en-suite bathrooms. Three of the four bedrooms on the first floor have grand balconies all with direct views onto the bosson glacier and the majestic Mont Blanc. The top floor contains two larger master bedrooms with baths en-suite. 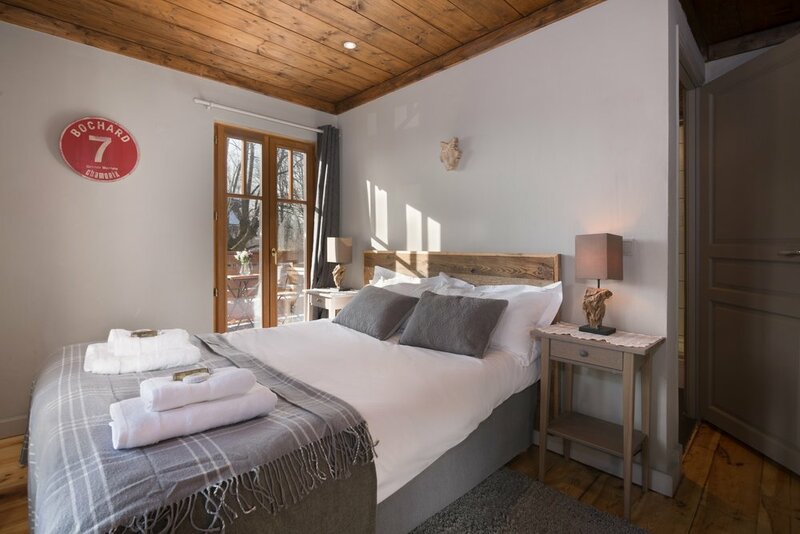 Whilst maintaining its original character the chalet also has all the conveniences of a modern chalet with Wifi throughout, a warm home-from-home feel and a fantastic outdoor hot tub. Booking.com rated as superb - 164 reviews with average of 9 out of 10. 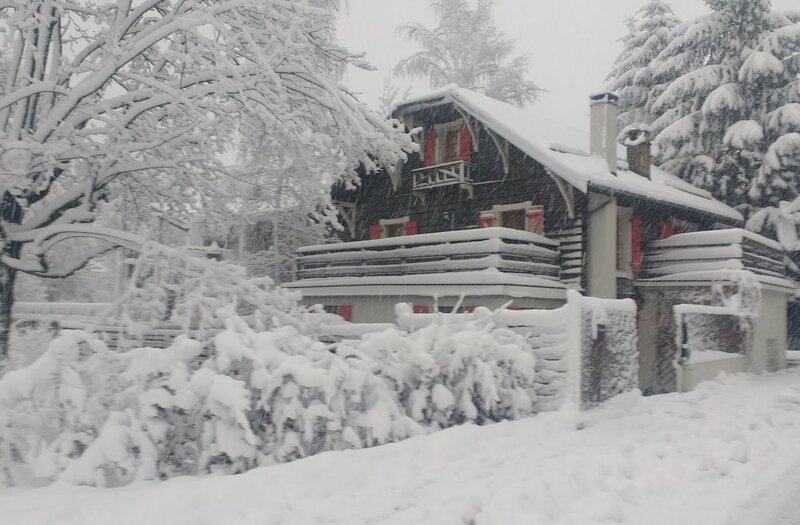 *Please note the chalet price is for 12 people, please enquire for additional beds.